Look up Eleuthera on Wikipedia and you get a dual reference – one for the island chain and surrounding cays and the other is the name of the long, very narrow – yet unbroken – island itself. Most visitors to Eleuthera fly into one of the three airports, all situated on the “mainland” of the island of Eleuthera. Oddly enough, though, the most “metropolitan” settlements in the area are on separate islands entirely – and only connected by ferry! 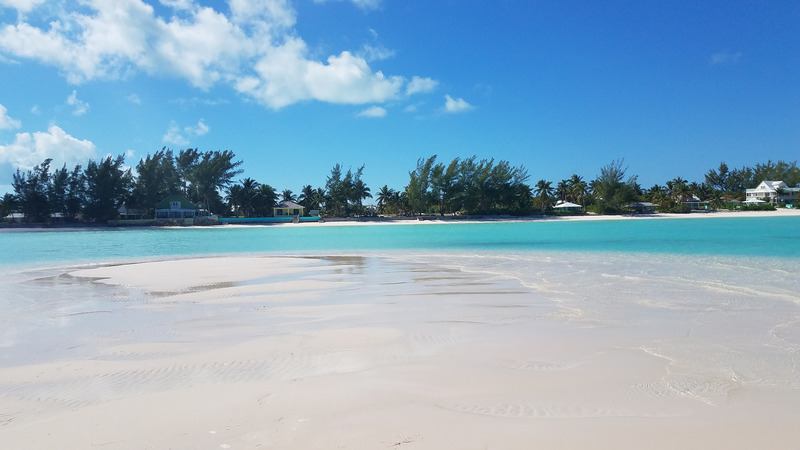 Those two islands – Harbour Island and Spanish Wells – lie just a few minutes by boat off the shores of the relatively sparsely populated North Eleuthera. The two islands couldn’t be more different, showcasing lifestyles and experiences that feel like they are many miles removed from each other, not just a few thousand feet off of a shared mainland cousin. 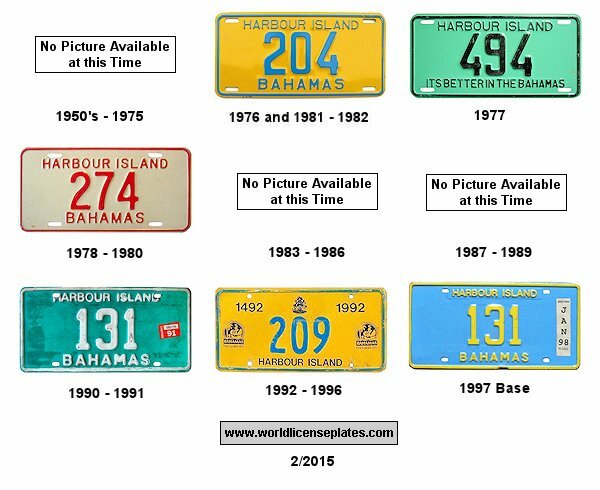 Heck, they are even treated as entirely separate districts of the Bahamas, replete with their own license plates , . 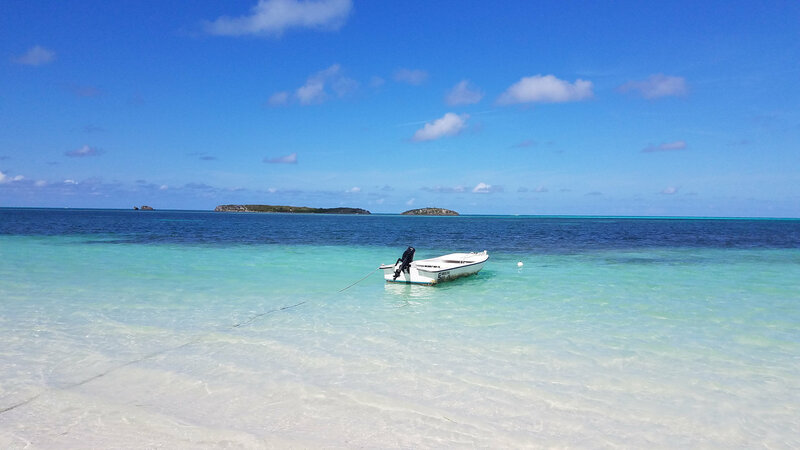 If one were visiting every place in the Bahamas like one would visit states in the U.S., you’d have to have both these places on your checklist. So this cart can actually (safely?) handle six people. Yes, and no one says the passengers can’t enjoy a little Sands beer to go. Of the two Harbour Island shares the most similarities with Eleuthera. Harbour island has the colonial vibe in its architecture, something you can also spot in Eleuthera’s centralized capital, Governor’s Harbour. 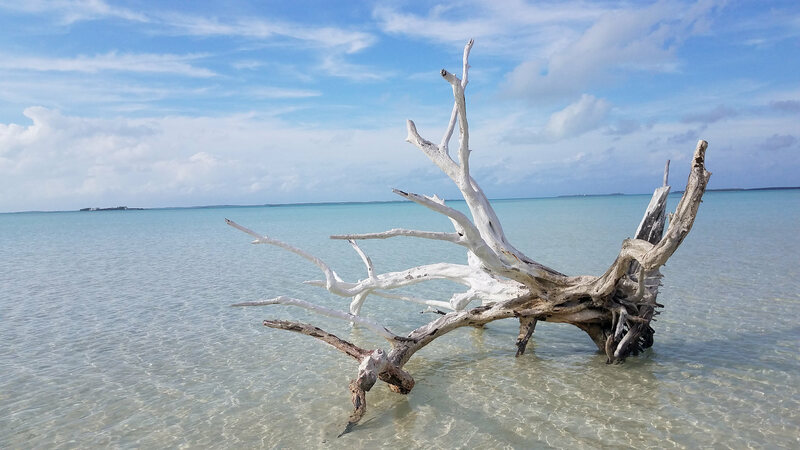 Harbour Island’s relict nature reminds me of something you’d see in Louisiana and coupled with tucked away comfort food standouts like Ma Ruby’s – its hard not to believe your in the tropical version of the deep south. 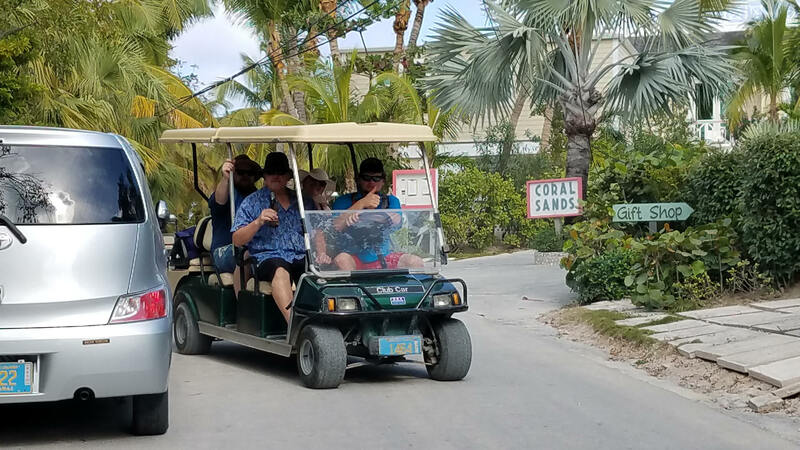 There are no cars on Harbour Island and you’ll be quickly offered converted golf carts to rent upon getting off your ferry at the dock. If you’re only visiting for the day and want to easily get to the beach and make a couple rounds around the town, I’d recommend getting one. 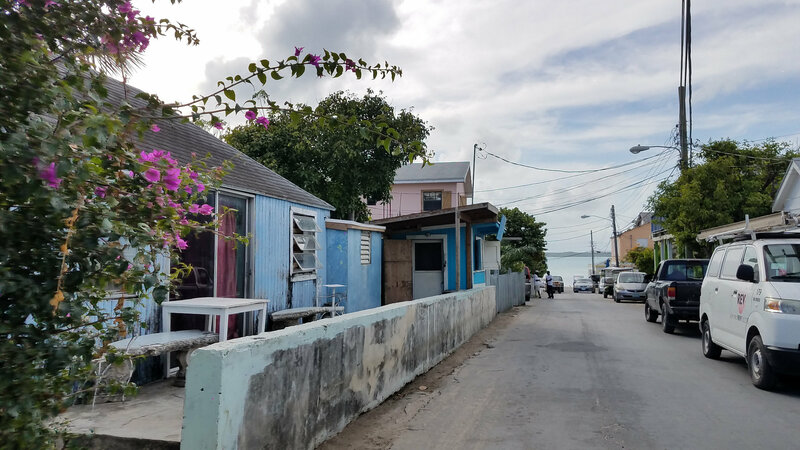 If you’re into a more casual experience and are just hanging out to eat and hit up a couple shops, then “downtown” Dunmore Town (the actual name of the town on the island) is eminently walkable. The long stretch of pink sand beaches is what brings most people to this island. 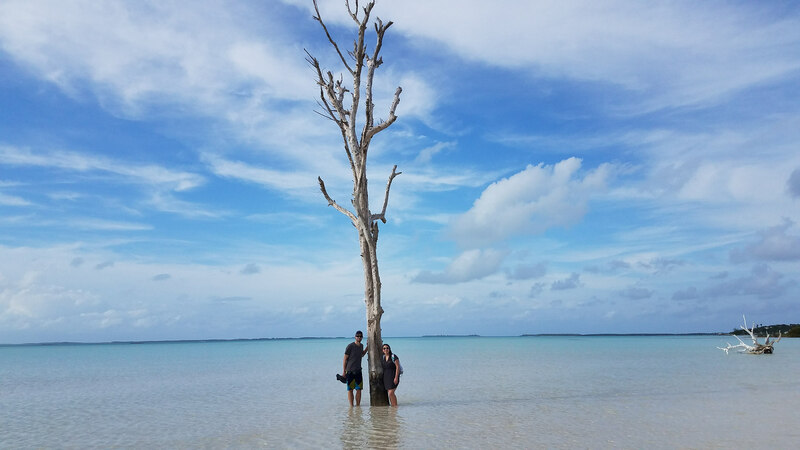 That, and maybe the opportunity to pose next to the famous “Lone Tree” that sits in the shallows. Snorkeling opportunities are plentiful along the main beach, and our group had more than a few memorable moments in the water. One came face to face with a reef shark (scaring it off in the process) while I experienced being watched and followed on both sides by two barracudas. The entire group also bore witness to a massive ray fluttering about on the ocean bottom while a few were able to catch up to some swimming sea turtles nearby. Needless to say, you may see some big beasts patrolling the waters out here. Oh, and before you leave the island, don’t forget to get the tropical conch salad from the conch stand right before you drop off your golf cart. 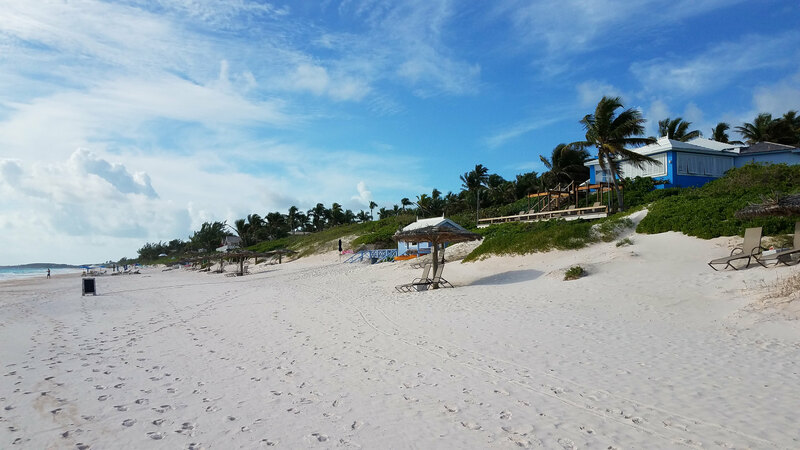 While Harbour Island more or less stays in lockstep with most expectations of out island Bahamian life, Spanish Wells comes by and takes you by complete surprise. Spanish Wells feels like suburbia. While golf carts are rented out to visitors, people drive cars here, have typical American-style homes, garages, driveways and yards. Walk into the middle of the island neighborhood and its hard not to pretend your not in, say, Palm Bay, Florida. 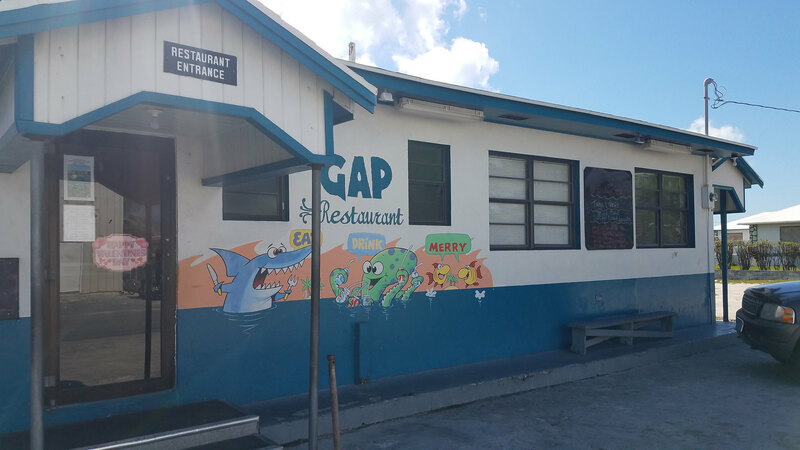 There is even an awesome little soda fountain-style eatery called The Generation Gap, and they seemingly serve every thing you could want – the menu is enormous and everything is surprisingly affordable (you’ll find that you’ll be spending a lot of money otherwise if you eat out often in the Bahamas). 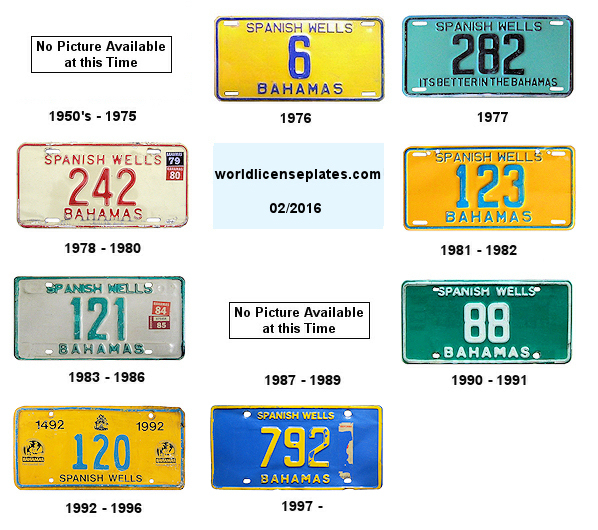 One thing that is sure to fool some people is the demographic flip from Eleuthera to Spanish Wells. Whereas Eleuthera and most of the rest of Bahamas is mainly black Afro-Bahamian, Spanish Wells is mostly white, with its people descending mainly from the Eleutheran Adventurists, puritans fleeing religious prosecution in Bermuda way back in the 17th century. They take this seafaring accent, almost a brogue, with them today. Very similar to the hoi toider accents of the residents of the islands of the Chesapeake (namely Smith and Tangier island today), it takes a little bit of getting used to before a more typical English speaker picks up the nuances. 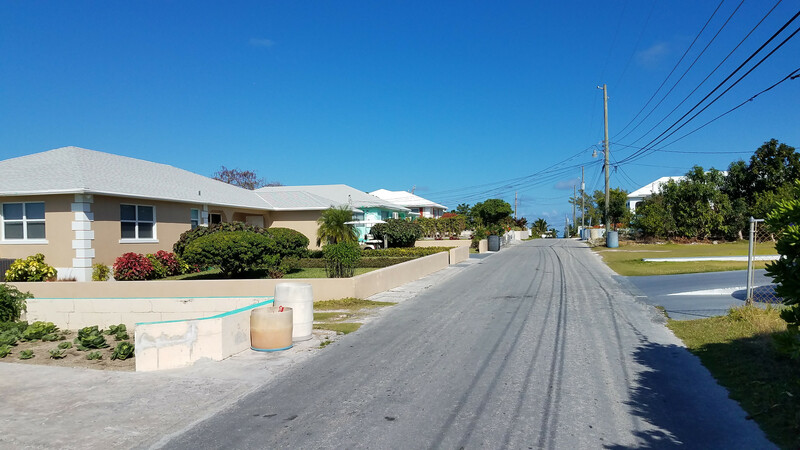 While there are certainly some American ex-pats with property on Spanish Wells (we talked to a couple), most of the population is Bahamian born and raised. Maybe our favorite beach on the entire stay. An idyllic oasis in the narrow gap between Russell Island and Spanish Wells (view from Russell Island side). Spanish Wells is arguable home to the nicest blue hues and calmest waters of any of the beaches we visited during our entire stay in Eleuthera. Stroll down the main beach (which is home to an incredible sand bar at certain tides) until you get to the Russell Island bridge. From here you can swim back and forth between Spanish Wells and Russell Island and enjoy some of the whitest sand and deepest tropical blues we saw on any beach here. Heck, even a couple dolphins swam through the narrows while we were there. I’m afraid most people will miss this tucked away gem, as it wasn’t really spotlighted in any guidebook, review or the incredible beach map. If we had more time, maybe we’d have taken a tour on a fishing boat, as that seems to be the obvious source of income for the community (apparently Spanish Wells harvests most of the lobster you are eating at Red Lobster). That said, a day trip is a nice break for the dayventurer, offering a welcome laid back experience from the more adventurous Eleuthera. What an awesome getaway. Got a kick out of the fact that ‘open containers’ are A-okay on a golf cart out there. So Lone Tree got stood upright there during Hurricane Andrew 25 years ago? At first I thought, OK, maybe the global tides have shifted and the spot where the tree now stands was once on land. But nope. Interesting. And what the heck is in a conch salad? Hey Tyson – I guess Hurricane Andrew is the basis for that story, though it is really anyone’s guess. I bet it didn’t get noticed by the locals for a bit, one day they just saw the tree out there. My confusion is whether the lone tree is the upright tree we are posing next to or the more famous “driftwood” you see in my other shot. I wasn’t able to get a good answer on that and they both sit there within close proximity of each other. Conch Salad (pronounced “Conk” if you’re ever in an area where this is served) is the meat of the snail-like animal that resides in those famous conch “you can hear the ocean in these”-shells. It has a chewy, squid-like texture, perhaps softer. Its actually really good, but not everyone in our party wanted to try it!